Over the last 40 years, Waterdrinker has developed from a local plant trader to one of the largest exporters of flowers, home and garden plants worldwide. 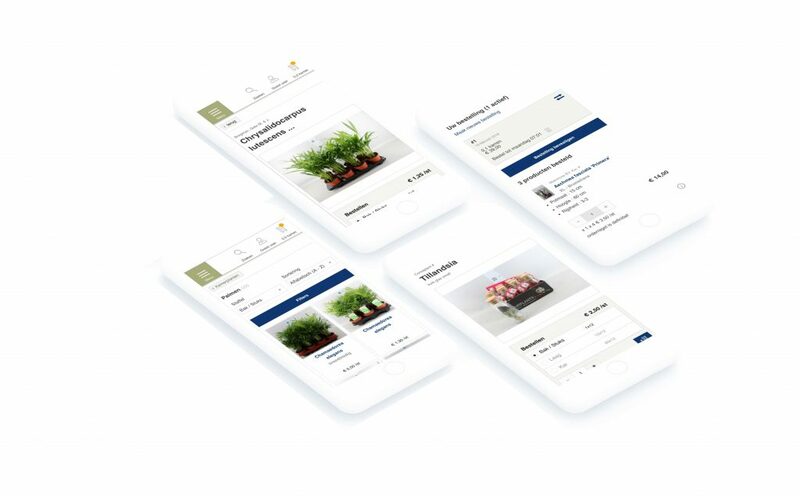 In 2016, Waterdrinker asked us to build a custom and mobile-friendly e-Commerce B2B platform so that their different customer groups could easily buy flowers, plants and accessories online. Three months after the start we delivered a Minimum Viable Product (MVP). Since then we have continuously developed and released new functionalities. Waterdrinker strives to provide tailor-made services and experiences to their various clients: florists, garden centres, wholesalers, large stores and retailers. Both main groups of customers, Cash & Carry and Big Professional buyers, required different functionalities and those functionalities required custom integration with the existing systems of Waterdrinker. We have performed usability testing sessions to gain insight into the buying behaviour of Waterdrinker’s customers. We have learned that water drinker users do not behave like traditional consumers. 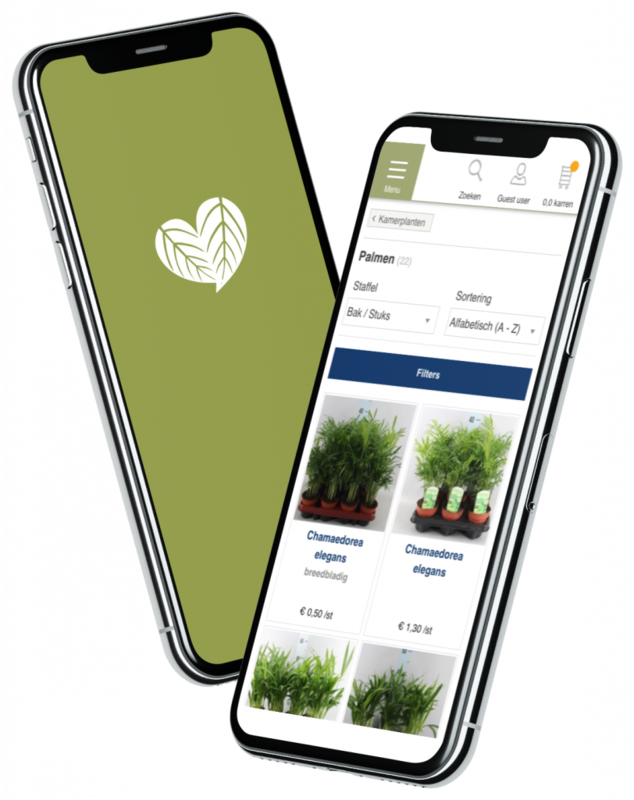 A big professional buyer that regularly buys large amounts of plants needs, for example, a fast and smart checkout procedure – optimised to handle recurring orders. These customer insights help us optimise navigating through the platform and remove any bottlenecks. Why did we build a custom B2B e-commerce platform? First, we did research on several existing open-source shopping frameworks, like Magento 1 & 2, Sylius and Solidus. We came to the conclusion that these off the shelf shopping frameworks lacked stability or the ability to integrate with specific ERP-systems. That’s why we decided to build custom software. The main goal was to make sure the framework was stable, customizable and flexible. The customized system can handle Waterdinker’s current complexity, possible delays in the ERP-system, Waterdrinker’s API and parallel requests. The custom shop engine we built connects with Waterdrinker’s existing systems and shows different storefronts to different clients. Every storefront is optimised to offer the best possible user experience to the Cash & Carry and Big Professional Buyer target groups. Big commercial buyers can for example easily fill up their weekly stock to make sure their store has enough plants and flowers in stock. Cash & Carry-clients can get inspiration and be kept up-to-date with the latest trends in a special section. 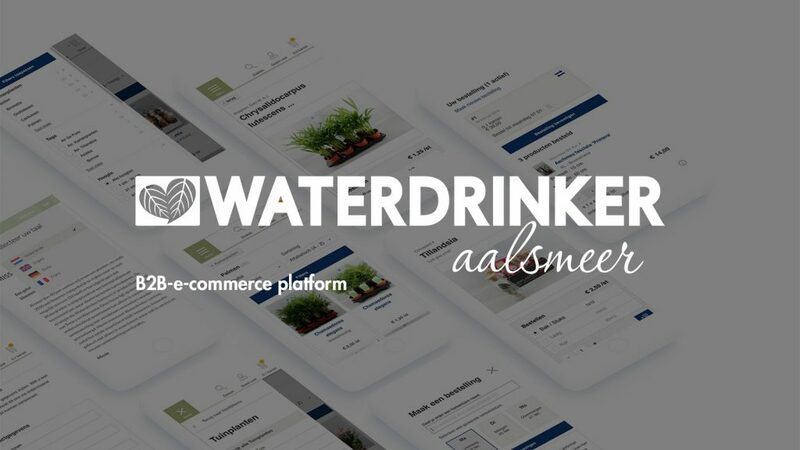 While creating the front-end of Waterdrinker we constantly kept one challenge in mind: everything we build needs to be flexible enough to easily change the look and feel of the store. We developed an easily customizable white label solution with which Waterdinker can have multiple storefronts with different visual elements and plants. The platform in now live. Customers can easily submit their order and we are constantly working to optimise the user-experience. Since the first release in 2016, we’ve constantly been working on implementing new functionalities in sprints, short development periods of two weeks. For each sprint, we prepare user stories, based on the backlog. After each sprint, all stakeholders have the opportunity to view the software and discuss the next steps. ALSO INTERESTED IN A PLATFORM SOLUTION?